Please fill out this form with a detailed description of your request. Response turn around time is typically within 4 hours during normal business hours. All New Image customers receive free email support during normal business hours. Subscription Suite and Server clients receive free Unlimited Live Help during normal business hours. Individual module customers receive unlimited Free support for their first 30 days and one free Live Help Session per month thereafter. All InspectorFX subscription customers receive Free upgrades. Support for license transfers due to equipment upgrades, viruses, any customer equipment failure, and hard drive failures are billed at $39.00 per 15 minutes of Live Help support. Live Help is Provided During Normal Business Hours. 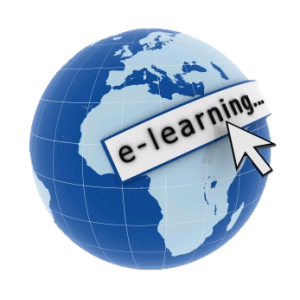 SmartPest users have access to more than 50 training videos. These videos contain over 4 hours of instruction, broken down into bite-sized recordings. You can access this training in three ways: 1) by clicking on the iPad screen to the right 2) select the “Online Tutorial with Audio” choice found under the SmartPest Help Menu 3) Click on the VIDEO TRAINING button (shown below) found on most SmartPest control panels. All subscribers are required to complete this video training prior to utilizing the free Live Help support system. SmartPest subscribers receive free support via email or Live Help. All support requests must be submitted via the SmartPest Technical Support Request Form found under the SmartPest Help Menu or the icon seen above found on the Dashboard control panel. iOS users can also access the Support Request form by clicking on the icon shown located on each SmartPest Mobile Service Ticket. 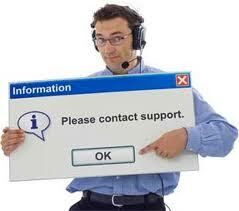 We attempt to follow up all support requests within 4 hours during normal business hours. Support will be provided via email or Live Help based on the request submitted. Free Live Help support is for SmartPest functionality only. It does not include data migration, customization, client hardware nor printer support. If requested, New Image Support personnel can provided such support at the rate of $39 for each 15 minutes of Live Help. New Image shall maintain server hardware, operating systems, backups and SmartPest software upgrades at no additional charge to the subscriber. Experienced FileMaker Pro subscribers who wish to customize the appearance of SmartPest layouts will be provided password access to layouts. New Image is NOT responsible for modifications. Such access does not allow access to the underlying scripts and coding. If requested, New Image Support will provide more in depth customization services at the rate of $39 per 15 minutes of support time. Be aware that custom modifications do not transfer to SmartPest version updates. New Image Software will provide continuous backups in the Datacenter. Subscribers are also encouraged to maintain an additional backup in the “Cloud” and on their local computer. You can never have too many backups!